Park your car and after our friendly staff have booked you in, start relaxing, unwind and enjoy your stay with us. We are located within easy walking distance to the city centre, shops and the famous port of echuca with the wonderful restaurants or take a trip on one of our many iconic paddlesteamers or just take a stroll along the Mighty Murray River. 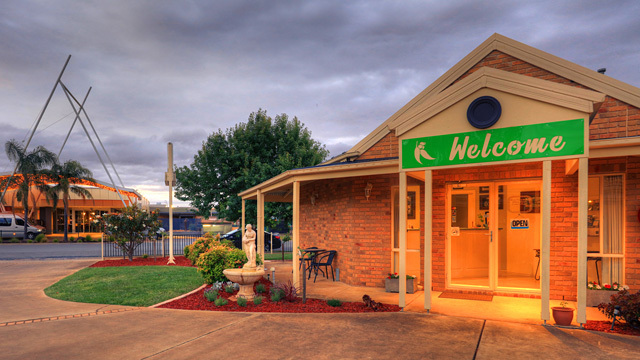 Directly across the road from us, is the Moama Bowling Club, where you can enjoy the restaurants, cafe, entertainment, lawn bowling, tab, pokies. At the Riverpark motel we pride ourselves on giving friendly service, hospitality and the quality of our rooms, our motel offers all the normal inclusions that will make your stay with us enjoyable.